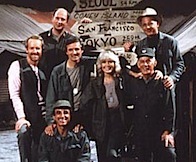 Although the Korean War only lasted three years, the cast of M*A*S*H was with us every week for eleven years. The final episode on February 28, 1983 was the most watched episode in American TV ever, drawing 106 million viewers, or 77% of the audience that night. It’s been twenty-five years since we said Goodbye, Farewell and Amen; let’s see what the gang has been up to since then. 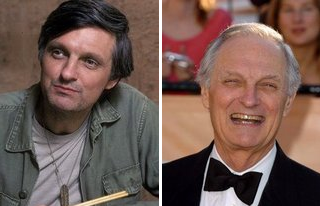 Alan Alda appeared in 250 of the 251 episodes of M*A*S*H as Captain Benjamin Franklin “Hawkeye” Pierce. After the series, he never slowed down, appearing in dozens of movies and TV shows. He was a regular on ER in 1999 and The West Wing 2004-2006. 72 years old as of today, Alda has two movies scheduled to be released in 2008, Diminished Capacity and Nothing But the Truth. 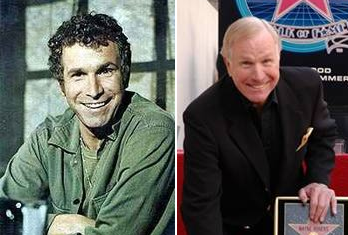 Wayne Rogers portrayed principle character Trapper John McIntyre. He left the show in 1975, a move he later regretted. He turned down the title role in the 1979 series Trapper John, MD. Rogers instead turned to managing his investments, which included rental properties, a chain of Swifty Serve convenient stores, and a chain of bridal shops. He founded the investment management firm Wayne Roger & Co. He was named to the board of directors of Vishay Intertechnology, Inc, a manufacturer of electronic components in 2006. Rogers is a regular panelist on Fox News’ financial show Cashin’ In on Saturday nights. Check out his weekly stock picks. 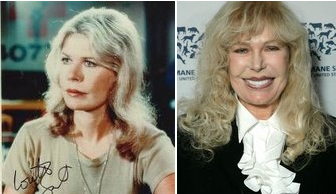 Loretta Swit played Major Margaret “Hotlips” Houlihan in 240 of the 251 episodes of M*A*S*H. After the show, she had various movie and TV roles until 1998. Now 70, Swit is an animal rights activist who supports shelters by selling her paintings and jewelry designs. She has a website, although not all of the links work. Her MySpace page has more activity. See a larger recent picture of Swit here. 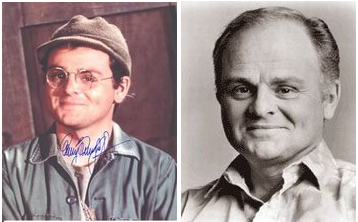 Gary Burghoff was the only actor from the movie version of M*A*S*H who became a regular on the TV show. He played the character of Walter “Radar” O’Reilly for seven seasons, plus a double episode in the eighth season that sent his character home to the States. He reprised the character in two episodes of AfterMASH and in the pilot for the sitcom W*A*L*T*E*R, which aired once and was never made into a series. Burghoff currently lives in Paradise, California and has a summer home in Connecticut. He paints wildlife and plays drums with the jazz combo The We Three. You can become his friend at MySpace. 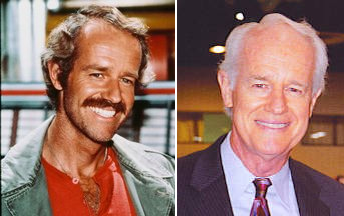 Mike Farrell portrayed B.J. Hunnicutt, a doctor who replaced Trapper John as Hawkeye’s best friend and partner in crime beginning in the fourth season. Besides acting, he wrote five episodes and directed four. After the series ended, he continued to act and worked behind the scenes directing and producing TV shows and movies. Farrell is a lifelong activist, involved with Human Rights Watch and other organizations. At almost 69 (his birthday is next week), he still loves a motorcycle ride. There’s more at his website. 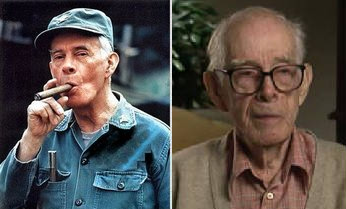 Harry Morgan embodied Colonel Sherman T. Potter, the commanding officer who replaced Henry Blake. He was cast in the spinoff AfterMASH along with Jamie Farr and William Christopher. Morgan, who was famous before M*A*S*H as Joe Friday’s sidekick Bill Gannon on Dragnet, remained active in movies and TV until 1999. You can see an interview from 2004 here. Morgan is 92 years old. 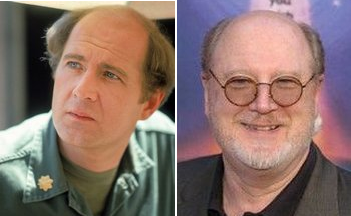 David Ogden Stiers played Major Charles Emerson Winchester III, a surgeon who replaced Frank Burns in 1977. Since then, he’s been amazingly busy with TV and movie roles, most notably The Dead Zone and Stargate Atlantis. His voice starred in eight Disney animated films. Stiers is now an associate conductor with the Newport Symphony Orchestra in Newport, Oregon. He has also conducted other symphonies across the country as a guest. His movie Together Again for the First Time is scheduled for release in 2008. 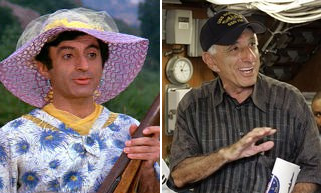 Jamie Farr played Max Klinger, who cross-dressed trying to get psychiatric discharge from the army. He gave up the dresses when he took over Radar’s job as company clerk, but was still homesick for Toledo. In the final episode, Klinger became the only character to stay in Korea by his own choice after he married a local girl, Soon-Lee Hahn. This irony was lost when he resurfaced in the AfterMASH series in a stateside VA hospital. Jamie Farr made many appearances on a wide range of games shows, as well as dramatic and comedy series on TV and in movies. His published his autobiography Just Farr Fun in 1994 and a childrens book Hababy’s Christmas Eve. Farr has sponsored a golf tournament, now called the Jamie Farr Owens-Corning Classic, which raises funds for childrens charities, for 24 years. He has a website. 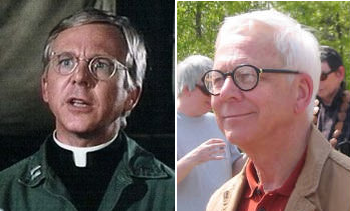 William Christopher appeared as Father Francis Mulcahy. He joined Harry Morgan and Jamie Farr in the series AfterMASH, which ran from 1983 to 1985. He continued to work in TV and movies until his retirement in 1998. In 1989, Christopher wrote a book with his wife Barbara called Mixed Blessings about their experiences raising their autistic son Ned. Christopher devotes his time the to National Autistic Society. Kellye Nakahara started as one of many nurses who rotated through the show without permanent characters or contracts, but she was asked to return for a total of 82 episodees over 11 seasons. Nakahara’s character was known as Nurse Kellye until the fifth season, when Alan Alda named her Kealani Kellye. She is now a professional artist under her married name, Kellye Wallett. Read an undated interview with Wallett. Allan Arbus, who played psychiatrist Major Sidney Freedman, worked steadily in TV until 2000, with his last role as Uncle Nathan on Curb Your Enthusiasm. He will turn 90 years old on February 15th. He is still signing autographs for those who request one, so he must be doing just fine. He is pictured here with his wife Mariclare Costello. Jeff Maxwell was the actor behind Igor Straminsky, the hapless company cook for the 4077th. He later published a cookbook called Secrets of the M*A*S*H Mess: The Lost Recipes of Private Igor. Read an undated interview with him. Rosalind Chao appeared as Klinger’s girlfriend and then wife Soon-Lee Hahn in the last two episodes of M*A*S*H. She reprised the role in the spinoff AfterMASH in 1983-85. Her career blossomed afterwards. She played recurring characters on Falcon Crest, Star Trek: The Next Generation, Star Trek: Deep Space Nine, 6 Feet Under, and The O.C. and guest starred in a dozen other series. Her movies include The Joy Luck Club, and Freaky Friday. She’s in the cast of the play Some Girl(s), opening February 6th in Los Angeles. G.W. 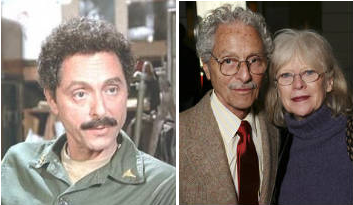 Bailey appeared in eleven episodes as Sergeant Luther Rizzo, who became famous for his distinctive pronunciation of “vee-HICK-le.” After M*A*S*H, Bailey was a regular on St. Elsewhere and starred in 6 Police Academy movies. He is currently playing Det. 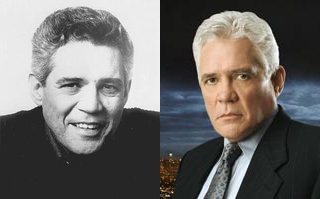 Lt. Provenza on the series Closer. Larry Linville, who played the buffoonish Major Frank Burns, left the series after five years because his character wasn’t likeable. He kept acting til shortly before he died on April 10, 2001 from pneumonia, a complication of his lung cancer surgery. He was 60. McLean Stevenson portrayed Lt. Colonel Henry Blake, the commanding officer of the 4077th for three seasons, then asked to be released from his contract. His character was killed off in possibly the most emotional episode ever. Afterward, he starred in four sitcoms designed around him, but all failed in the ratings. Stevenson died of a heart attack following surgery on February 15, 1996. He was 68. Edward Winter, who played the mysterious but inept Colonel Flagg, continued to act in a wide variety of TV shows until 1996. He also did voice work for several animated series after that, including The Angry Beavers. He died March 8, 2001 of Parkinson’s disease. He was 63. Johnny Haymer was Sgt. Zelmo Zale in 20 episodes. He was active in TV and movies until he died of cancer on November 18, 1989 in Los Angeles. He was 69. John Orchard portrayed two characters on the series, anesthesiologist Ugly John Black in eleven episodes, and an Australian officer named Muldoon once. Orchard died of a heart attack on November 3rd, 1995 in London England. He was 66. Pat Morita appeared in several episodes as Captain Sam Pak, but was better known in his roles as Arnold in Happy Days and Miyagi in four Karate Kid movies. Morita died on Thanksgiving Day, 2005 at his home in Las Vegas. He was 73. However, he will appear in two movies to be released in 2008, Act Your Age and Royal Kill. You can get all kinds of nostalgia going on about M*A*S*H at the 4077th Homepage. Great post, C. I especially liked reading about the minor characters. And I once again promise to stop smoking. said Jellio on January 29, 2008 7:50 AM. I live in a rural county in Tennessee, and Wayne Rogers attended The Webb School, a private prep school here in our county (in the colorfully-named town of Bell Buckle). He's an active alumnus and comes back frequently for big events. said John Carney on January 29, 2008 8:28 AM. Crap this makes me feel old. Thanks for the update. said William on January 29, 2008 10:23 AM. u can do it Jellio!!! I'm also quitting cigs right now. Down to 1 cig/day adn will be done on super bowl sunday!. said Kup on January 29, 2008 3:34 PM. I live in Chico which is literally 4 miles form Paradise California. For years after M*A*S*H Gary did not want to be known for anything related to Radar. He has been doing the art thing in Paradise for a number of years. He is nice quiet guy that keeps to himself. said Jim - Just a Guy on March 3, 2008 5:03 PM. I used to live and teach in Ottumwa, Iowa, which was Radar O'Reilly's hometown in the series. They used to have an annual M*A*S*H reunion there. At least some of the cast would usually show up. said tromba.myopenid.com on March 3, 2008 6:44 PM. said George St.Amour on March 4, 2008 7:51 AM. I've heard nothing but good things about all of these actors ... except for Gary Burghoff. He's said to be a right c*nt. said Feng on March 8, 2008 10:21 AM. I bought a 66 fire engine red chevy station wagon that belonged to the fire chief in Ottumwa, Iowa. I tell people that is where Cprl. Radar O'Reilly was from. I still watch M.A.S.H. reruns every day. Gary Burghoff was my favorite. said John Reilly on March 18, 2008 9:47 PM. I just want to encourage Jellioe to stop smoking. I am on the internet right now as it's one of the few things I can do. I smoked many years on and off and it caught up with me. I got pneumonia with bronchitis and emphysema and my right lung collapsed. I had to have surgery to get my right lung inflated and am now on oxygen and home alone. When I grew up everybody smoked. My prep school even had a designated smoking area. I knew I was rolling the dice every time I lit up but I was sure nothing would happen to me. I still can't believe it. You'll never regret quitting but you may regret not quitting. said William Selmi on March 27, 2008 11:34 PM. I really enjoyed you where are they now : The cast of MAsh I have a question In the opening scenes of the Tv series you see a group of nurses running to the chopper pad the lead extra a dark haired beauty with out a hat was absolutely stunninig who is shwe and where is she now?????????????? said Jim Wilson on June 1, 2008 3:21 PM. My wife, Jeanne, was Frank's Bride in the episode "Nothing Like A Nurse". Was a black and white shaky home camera film of the Burn's outdoor wedding. Every other film and tv series cast and crew on the 2th Century lot came out to view the filming! We had Apes = Planet Of = Neuman, Astaire, you name them! This was the 3rd season, 1974. She was also Nurse Able in the operating room and worked with Hawkeye. Those were great days, and funny people! said Madd Maxx on July 10, 2008 10:05 PM. Fascinating site, I always wondered what happened to them, also thought more were dead than actually are (I thought Harry Morgan died a long time ago). Rotten Dead Pool lists Larry Linville's year of death as 2000. Too bad about Ed Winter, I always liked "Flagg". said Trevor999 on September 29, 2008 2:27 AM. I have been watching mash all my life.When I was a child and C' Blake died I was so upset and confused.ha ha.I remember crying and crying and my parents laughed at me!Now I watch mash reruns everyday with my partner, we love it. What happend to the guy who always played either a north korean or south korean.He is in a lot of the shows as many different people.I dont know his name but he was in the one where they want to send a north korean back to the usa but he doesnt want to go and there is another korean who hawkeye and bj trick the u.s guy into taking, i think he was a south korean soldier who didn't want to fight again.He is also in the one where winchester has a sore back and he has 3 koreans he is teaching. said Damien Mostert on October 9, 2008 2:08 AM. What ever happened to 'Spear Chucker' Jones? said SWB on October 27, 2008 5:08 PM. To the person who posted that you live in Bell Buckle in a rural county, give me the hook up on the info on where that is. I am a huge M*A*S*H fan and heard that Wayne Rogers went to school here in our great state (I live in Gibson County). I'm really interested. Give me a hit at my e-mail address. said Rachel Cooper on February 10, 2009 4:55 PM. Captain Spearchucker Jones was played in the 1970 by Fred Williamson, the former AFL player who later was chosen as the Monday Night Football announcing replacemeng for Don Meredith. The character in the TV show was played by former Philadelphia Eagle Tim Brown (a 3 time pro bowl player from 62-64, one of the best kick return players in league history). Note: His character was dropped when it was discovered there were no African American surgeons in the Korean War assigned by an armed services unit. said ss on April 13, 2009 11:06 PM. said nsdalfan on July 11, 2010 6:48 PM. I concur with nsdalfan, as does Wikipedia. Do you have a citation for which episode your source believes Alda did not appear in? If you can cite it, we'll update the article.. but my understanding was that it was correct: Alda was the *only* actor in the TV series to appear in every episode. said Jay on November 20, 2010 10:01 AM.